Rich Mitchell joined Mackenzie as a project architect in 1989. Rich takes a holistic approach to design, balancing client goals with stakeholder input, jurisdictional requirements, and budget realities. He believes project success is rooted in collaboration and an integrated approach, in which all disciplines work in concert to achieve creative, efficient design solutions. His extensive experience includes master planning, programming, and design for new sites and buildings across a range of project types, as well as design of remodels, renovations, and additions for existing facilities. In 2004, Rich founded Mackenzie’s Seattle office, and has led the firm as managing principal since 2009. 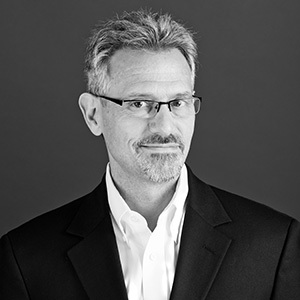 A longtime advocate of sustainable design, Rich is the Green Building Initiative’s Chairman of the Board of Directors. "I take pride in seeing the positive impact of my contributions. I bring the drive and energy necessary to accomplish all manner of goals." Three ways: time with family, time alone running and biking, and a good night's sleep. the summit of Mt. Constitution as enjoyed after a grueling 90-minute climb on my mountain bike from the shore of Cascade Bay. Making a difference through meaningful relationships and successful projects.